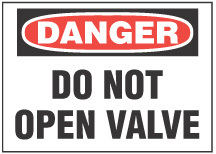 Home » Safety & Security Signs » Operational Signs » Danger Sign, Pinch Point! Stand Clear! Danger Sign, Pinch Point! Stand Clear! This sign announces the immediate danger of a pinch point and to stand clear. Legend: DANGER, PINCH POINT! STAND CLEAR! Product: Danger Sign, Pinch Point! Stand Clear!